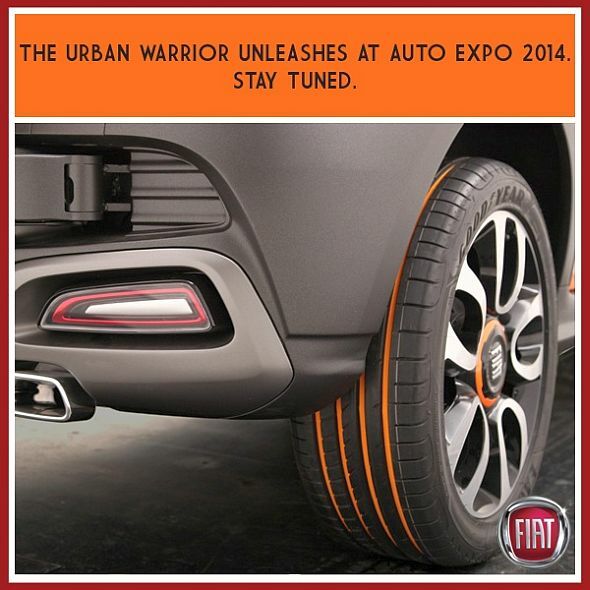 Snapshot: Fiat India has just teased the Punto Cross Avventura crossover styled hatchback. The Avventura moniker for the Punto represents the car’s crossover-ish styling. Notably, the Fiat Punto Avventura isn’t the first such model that the Italian car maker has launched in India. In fact, Fiat did launch the Palio Adventure, a station wagon that came with high ground clearance and crossover-like styling, here in 2002. 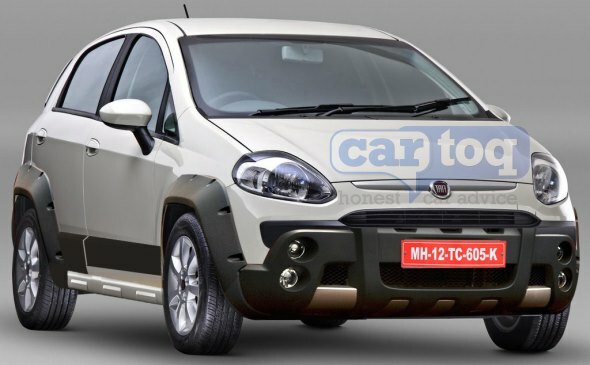 While the Palio Adventure – a dud at the hustings – was perhaps too ahead of its time, the Punto Avventura might have a better run in the Indian car market. The Fiat Punto Avventura, while being a hatchback featuring crossover styling, comes with a spare wheel that’s mounted onto the tail gate. The mechanism of the spare wheel mounted on the tail gate will be unique. While the tail gate will retain the top hinged release mechanism, the spare wheel will get a side hinged release. The purpose of the spare wheel on the tail gate is primarily to give the Punto Avventura a rugged look that borrows from the design of various SUV models while also liberating some space in the boot, which otherwise would have been sacrificed to house the spare wheel. Other butch bits on the Punto Avventura will include body cladding at the front, rear and flanks. The car will also get a new exhaust tip and a new alloy wheel design. The Punto Avventura is likely to be sold exclusively with turbo diesel engine options. The 1.3 liter Fiat Multijet motor is likely to be offered in 75 Bhp-190 Nm and 91 Bhp-209 Nm states of tune. A 5 speed manual gearbox will be standard. The crossover styled hatchback is expected to be price positioned at the top of the Grande Punto variant line up. The exact launch and bookings/sales time frames will be announced at the Auto Expo.